This World Leprosy Day, we pause to celebrate the achievements of our past while also strengthening our resolve to see an end to leprosy, once and for all. To achieve zero leprosy, we need to achieve zero transmissions, zero disabilities as a result of the disease, and zero discrimination. What is leprosy and how is it treated? Leprosy is a chronic bacterial disease, transmitted through droplets from the nose and mouth. Contrary to popular belief, leprosy is not highly infectious and requires regular, close contact with an untreated person to be transmitted. Leprosy mostly affects the skin, nerve endings and eyes. It develops very slowly, with symptoms often taking up to five years to appear. If left untreated, it can lead to patients losing sensation, developing paralysis (especially in the hands, feet and face), developing skin ulcers or struggling to blink. The great news is that leprosy can be effectively treated. Multi-drug therapy destroys the bacteria, and early intervention can prevent the development of disabilities. Since its founding in 1952, INF has cared for leprosy patients. The founders of INF showed Christ’s love and compassion to people with leprosy through the medical work they established at Green Pastures Hospital [GPH]. In the 1950s, people with leprosy were some of the poorest and most marginalised people in Nepal, often isolated to impoverished leper colonies or cast out from their villages. The care INF provided was profoundly countercultural. From the early 1970s, INF also helped to pioneer and support government-led leprosy control programs in the western half of the country, identifying and treating cases of leprosy in some of the poorest and most remote districts of Nepal. Work by government, INF and other organisations led to a significant reduction in leprosy, and in 2009 the disease was officially declared eliminated in Nepal. This is defined globally as less than one case of leprosy per 10,000 people in the population. While this is a great achievement, the disease is far from fully eradicated, with over 3000 new cases identified each year. How is INF working towards zero leprosy today? INF continues to treat and rehabilitate leprosy patients at GPH, and in its two hospitals in Surkhet and Banke districts. Banke still has one of the highest incidences of leprosy in the country. 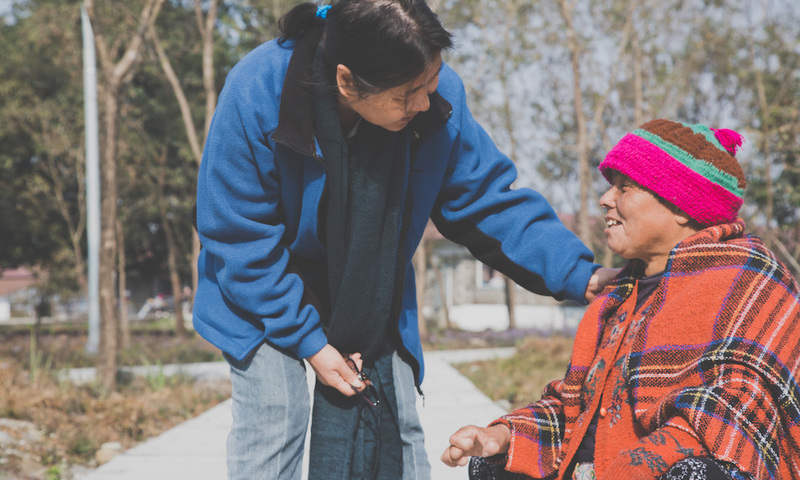 Every month, INF identifies new cases of leprosy and provides holistic care, including peer counselling by former patients, self-care training for patients with ongoing impairments, and the provision of assistive devices. Reducing discrimination is still a major goal, as stigma can be a barrier to seeking treatment, as well as to inclusion even after a patient has received treatment. INF continues to tackle discrimination by raising awareness, and by providing education on leprosy and how it can be treated through its community development work. Every case identified is not just a step closer to eradication, but to a life being restored. Take Surya Shrestha,* who spent over 18 months seeking treatment from various hospitals, before finally being diagnosed with leprosy and being referred to GPH. Seven months of regular treatment at GPH has radically improved Surya’s condition and given him hope for the future. 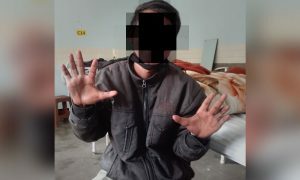 After receiving multi-drug therapy and physiotherapy, he no longer suffers from burning or other painful sensations anywhere in his body, and can easily move the fingers on his hand, which had formed into a claw. INF longs for the day where leprosy is completely eradicated in Nepal. Until that day, we will continue to work and pray! You can continue to raise awareness about leprosy by sharing this article. You can also make a tax-deductible contribution to our work at GPH.